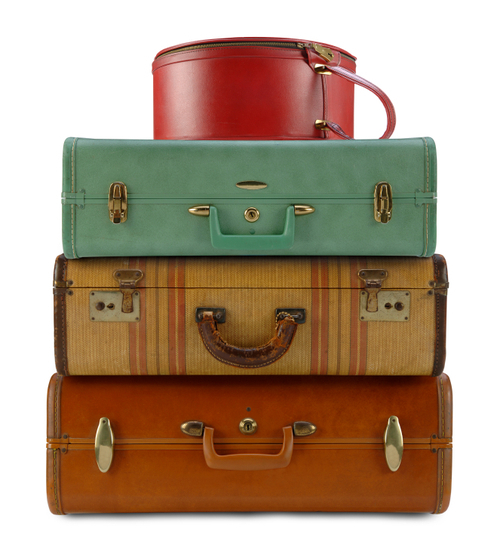 Luggage is found in virtually every home or attic, and probably old luggage at that. “Vintage luggage” (or, really old luggage) is quite collectible. You may have seen examples (and fakes) being used as props in displays at retail stores and in themed restaurants, or pictured in decorating magazines where they are usually stacked and used as end tables. The better luggage is sturdy, heavy even when empty, made of thick leather (usually cowhide) with brass cap corners over wood or cardboard, with brass locks. Crocodile or alligator leather is the most desirable, but it’s rare. Don’t overlook brief cases and attaché cases. Original initials, monograms, or even full names and addresses stamped or painted onto the case adds to a suitcase’s value. So do railway tickets, shipping labels, or steamship cruise line labels affixed to the piece. The most valuable to collectors are those made by Louis Vuitton, a French company that still makes expensive luggage after more than a hundred and fifty years. (It is said, however, that only 1% of all goods marked Louis Vuitton are genuine; the rest are Chinese fakes. But if yours were purchased by Grandma sixty years ago, they are not Chinese fakes.) Other luxury makers include Hermès (France), Moritz Madler (German), and Globe-Trotter (English), and the American companies Hartmann and Samsonite (particularly 1950s-era examples). Most of these should have maker’s marks to help you identify them. These marks are generally found on the edge of the suitcase, inside the edge, or applied on the inside to the fabric. Check the locks too. Some, like Louis Vuitton, have their name and serial number on each lock. High quality locks are made of good metal, the highest quality would probably be silver; below that, brass, iron, and tin. Many were electroplated nickel over base metal, which, when it wears away, shows a brassy looking metal underneath. If the metal is rusty or pitted, the lock is a lower quality and so, no doubt, is the luggage. There are also cheaper luggage pieces made with simulated leather. If they look nice, they may have some value as props. Sell these to an antiques dealer at one of the area’s better antiques stores, at an antiques mall, or to an interior decorator. Used suitcases made of plastic or fabric are best donated to a service organization, but only if their condition warrants re-use. Otherwise let them take their last trip to the dump. 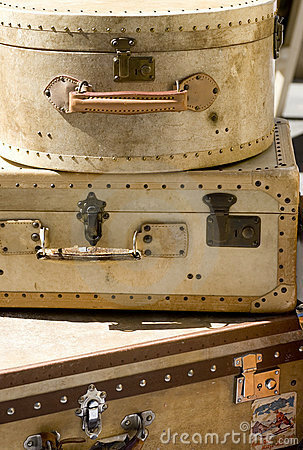 Wooden trunks can be sold to an antiques dealer. Those with rounded tops are useful at the foot of a bed for storage, but you’ll probably get a better price for the flat top styles, because they can double as end tables or coffee tables. It should go without saying: thoroughly search all bags, trunks, hatboxes, satchels, briefcases, or other luggage before disposing of them. Old American-made quilts can be very valuable. Even those in poor condition can sell for several hundred dollars, and quality antiques go for thousands. 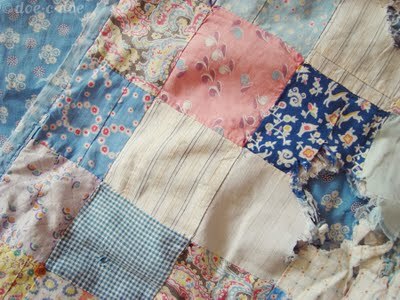 Don’t throw out a quilt that is dreadfully worn, torn, or frayed–even those can have value. They can be cut down to make a crib quilt or a wall hanging or cut up for decorative pillow covers. 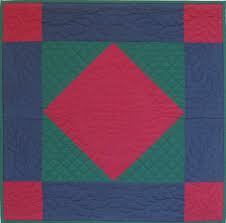 Try to determine whether your patchwork quilt is machine or hand sewn. Gently pull at the seam of the patchwork pieces—irregular stitching indicates the top was pieced by hand (although a fine seamstress of the period could turn out stitches so perfect they might fool you into thinking they are machine sewn.) In all likelihood, the quilt is hand pieced. Even today, many quilters prefer to piece by hand, so that alone does not mean it pre-dates the sewing machine. Next, look closely at the running stitch that connects the top layer, the batting, and the backing together. A very old quilt that pre-dates the sewing machine will of necessity be both hand pieced and hand quilted. The foot-powered treadle sewing machine, while it existed before the Civil War, was rare until after that conflict (1865). Electric sewing machines became popular in the early 1900s. Not until the 1980s did machine quilting become acceptable in quilt shows. Of course, not all quilts were made with the intention of entering them in the county fair. The utilitarian ones are apt to have been sewn as economically as possible, by machine. It is not realistic to think that you will be able to date your quilt, but this will let you describe it as “machine quilted” or “hand-pieced,” or whatever. The “big three” historic quilt patterns are the Double Wedding Ring, Dresden Plate, and Grandmother’s Flower Garden. These were popular in the 1930s. You can find books in your public library on quilts that will help you identify the pattern and the date, information that will help you describe the quilt before you try to sell it. In recent years, a flood of cheap, American-looking quilts made in China has been sold in department stores. These can be very attractive, but they have little resale value. If you think your quilt is old, American-made, and handmade, take it home with you to resell. It’s worth the trouble of dropping it in a box and mailing it home to yourself to deal with later. Consider making an appointment with a textile curator at a museum that has quilts in its collection, likely the local historical society or a historic house museum. Tell the curator anything you know about the quilt: who owned it, where it came from, who made it, its age. If you know nothing about it, you can still help by saying where you got it. If it has a good local “provenance” or object history, the museum might be interested in having it. It is unlikely they will offer to buy it from you, since museums rarely have money to spend on acquisitions, but you can have it appraised. The curator or museum can give you names of reputable appraisers in your area, or you can go to the website of the American Quilter’s Society, www.americanquilter.com, for their list of certified appraisers—be aware of their hourly fee. Take the appropriate tax deduction the year you donate it. Museum curators never appraise objects. It’s against their ethical code. If you prefer to sell, take it to a high-end antiques shop in your area and speak to the owner. The Internet is another option. Many quilts are sold on eBay.com or etsy.com. If you have a good picture and your quilt is appealing, it may bring a higher price there. There is a decent market for fine old linen and cotton items, especially those with embroidery, cutwork, or lace. Handkerchiefs, doilies, dainty hand towels for guest use, lace curtains, christening gowns, smocking, and other fine children’s clothing are collected, loved, and used by those who appreciate workmanship that is largely a thing of the past. 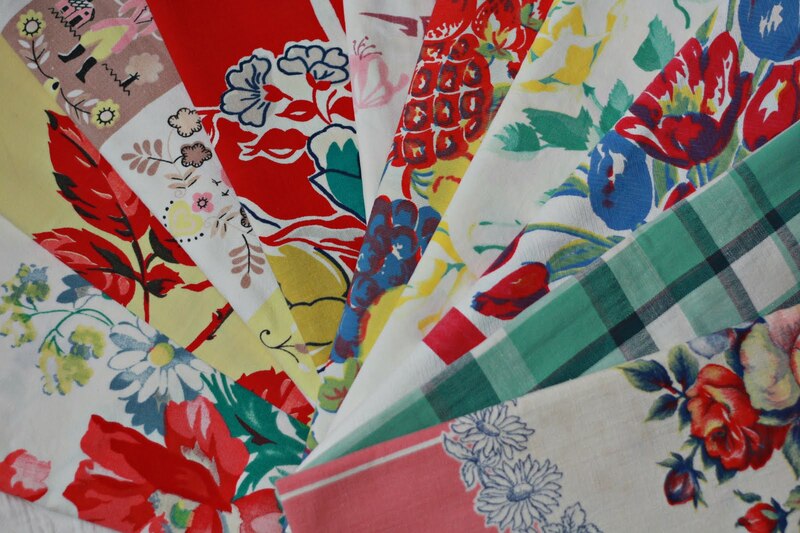 Even old dishtowels and aprons from the Fifties, like these on the right, are popular with some collectors. Unless you know what to expect for such items, however, it will be hard to describe and sell them yourself online. An alternative might be the dealers at the better antique shows that come through town periodically. Some dealers have retail stores that can be located in the Yellow Pages or online. If one is near you, make an appointment to bring in your linen and cotton items and see what they offer. They will prefer—and pay more for—complete sets. For instance, a tablecloth with eight or twelve napkins will be desirable whereas the tablecloth alone may be refused.